Yocan Evolve Plus Giveaway! 3 winners! What's your next device in your list ? Yocan UNI ? 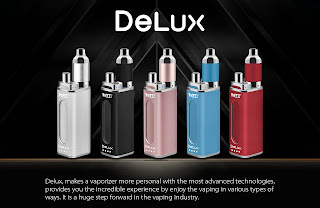 Yocan Evolve Plus XL ? Now,Yocan official retail shop 30% Off,use the coupon "Yocanonline30" to enjoy the big discount. The Juice and Oil refillable pod are creafted with ceramic coil,deliver huge delectable clean vapor,smooth and flavorful. The Concentrate pod is with quartz dual coil,provide with the purst experience,guarantees a crystal clean and smooth essence. After turning on the device,press the power button 3 times rapidly to adjust the voltage level. To provide you with an incredible experience,the Evolve 2.0 has a built-in preheat function that warms up your oils before the first use. Rapidly clicking the power button 2 times will put the device in preheat mode. The Evolve 2.0 battery and pod is with effortless magnetic connection,enables you easily change the vaping experience with this magnetic refillable pod options,very convenient to use. Small and discreet fits in the palm of your hand,super compact and portable. 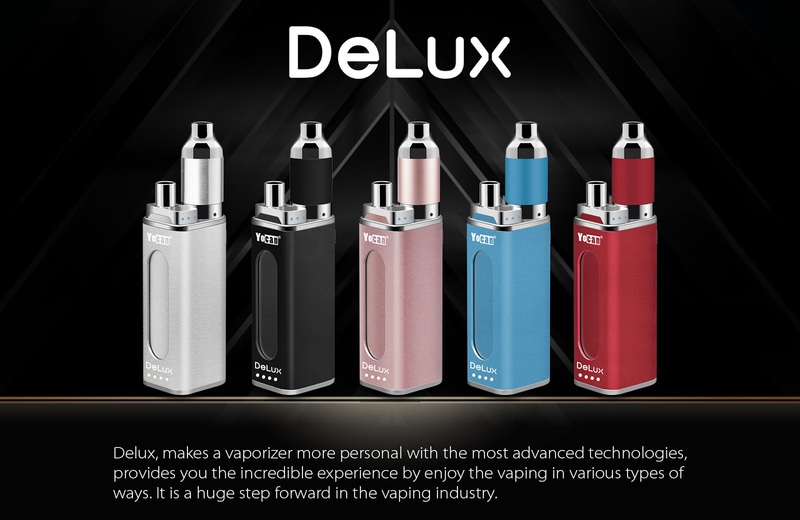 Yocan DeLux is a portable 2-in-1 box mod kit,enabling users to enjoy oil or concentrate vaping on-the-go in a discreet manner. Would you like to have a try ? Hello everyone, Glad to introduce Yocan's new product here - Yocan UNI Yocan UNI is an universal portable mod,world's first box mod for all kinds of oil atomizers. This portable Yocan UNI features: adjustable height matching all styles of oil atomizer Yocan UNI adjustable atomizer holder fitting different diameters Yocan UNI 10sec preheat function provides you with an incredible experience Yocan UNI features 3 voltage levels Yocan UNI magnetic 510 thread adapter Yocan UNI built with level window and Micro USB port More details -> http://www.yocantech.com/Yocan-UNI/index.html Would you like to try this unique new product ? Enter the :) Yocan UNI Giveaway :) now! Yocan Stealth is a powerful 2-in-1 device that is the professional,concealable and quick click device for vaping Juice and Concentrate. Offering up great flavor and crystal smooth texture,the simple,yet elegant,always ready to go. Yocan Stealth comes with two atomizers, one for Juice,another one for Concentrate. Stealth creating the perfect concealable flip box mod. To flipping out the atomizer,just hold the box mod with your right hand,and press the flip button on the top left side. To hide the atomizer,press the flip button and press down the atomizer. It is a challenging box mod that with built-in haning hole,provide an extra way to carry it around with your lanyard. The convenient built-in USB charging allows you to charge it anywhere with your power cord,always ready to use on the go. How do you like it ? Would you like to have a try ?